HydraForce's library of STEP Models are optimized for easy import into PRO-E and Solid Works. 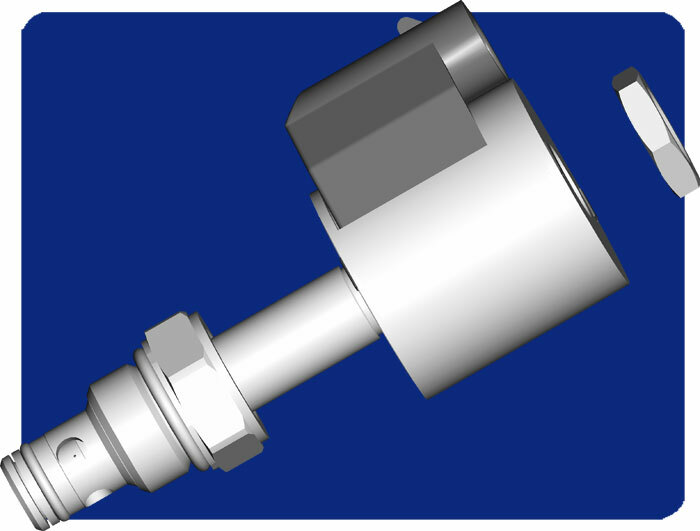 Easy to download, accurate, and adaptable to your own assemblies, our STEP model library includes our complete offering of valves and accessory components. Reduce Developement time - No additional modeling during the concept phase or design initialization. Error Reduction - Complete models developed by design engineers. Cost Savings - Reduce project time by eliminating additional modeling. Complete Valve Library - With the world's largest cartridge valve offering at your disposal, you can easily create a custom solution that fits your machines needs. Create custom manifolds, speed through project development, and optimize the design of your machine with our library of STEP Models. No registration required! To download, fill-out the form on the right.